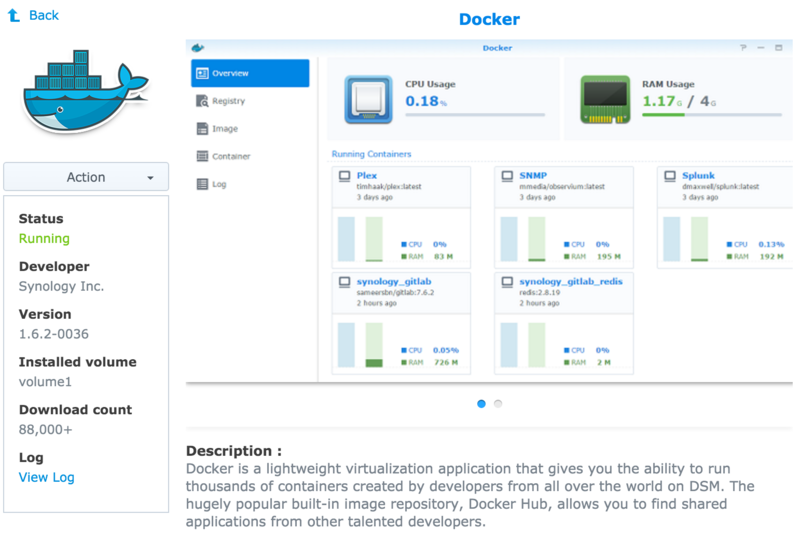 Docker Package on Synology – 88k downloads! Docker is a great addition to my DS1815+ Synology NAS. Its implementation is very cool in many ways but has a few big weaknesses. What am I missing? What is remedied by DSM 6 Beta 2+ for those that run it?